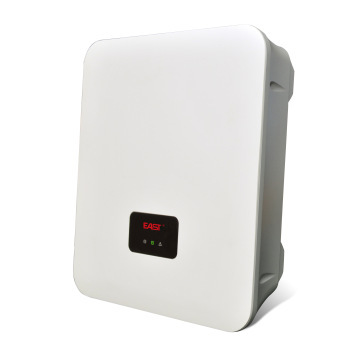 FOB Price Get Latest Price Model7KSI Min.Order10PCS Brand NameEAST Brief DescriptionGrid-connected PV Inverter are features with compact and robust,easy operation, intelligent monitoring, and reduced running costs. Off line UPS from 400VA-2000VA, Line interactive UPS from 1kva~3kva,High frequency online single phase UPS from 1kva~10kva, 3 phase on line UPS 10KVA~500KVA. Stabilizers,home inverters,solar inverters,batteries,DC rectifier,EPS. EAST UPS has over 27 years of engineering and manufacturing experience producing high quality UPS, Stabilizer and Solar Inverter. Around 1500 workers, 220,000m2 producing and R&D area, over 15 years exporting operation history .ISO, CE,ROHS & TUV certificated, one hour reach Guangzhou or Shenzhen port, this is how we keep good quality and competitive prices for global valued customers. Our main products cover Line interactive UPS ,on-line UPS,stabilizer,home inverter,solar inverter. East Group Co., Ltd. was established in 1989. Our company has been devoted into R , producing, and marketing of UPS, EPS, and stabilized voltage power supply. We are the leading integral power supply solution provider in international markets. Our headquarters is located in the National High & New Tech Industrial Park, i.e. Songshan Lake Technological Industrial Park, Dongguan, Guangdong, China. Our company is a pioneering China enterprise group in the power supply industry, which has been fast developing and powerful to compete in international markets. We have been successively keeping the leading position in domestic market, through support of our comprehensive marketing and service systems. We have established 196 offices and 7 primary services centers in the domestic market, to guarantee providing feedback service in 2 hours in every middle-large city. On the other hand, our company has established 5 primary marketing centers in overseas markets, to support our products exporting to over 100 countries and regions in Asia, America, Europe, Africa, and etc. Moreover, we have been contributing our efforts in public welfare and society social responsibility. In recent years, our company has been donating a large amount for education, disaster relief, poverty alleviation, and charitable fund project. We have donated to build several Hope primary schools around China. Our company is the first cession director unit and the second cession honorary director of SYGOC. Furthermore, our company has donated an enormous amount of capital to establish the first Guangdong enterprise sponsorship charitable fund, i.e. East Charitable Fund. Our enthusiasm and contribution on public welfare are highly appreciated and accredited by public. Factory Info: East Group Co., Ltd.
As a leading company in power supply business in China, we have been ranked in China Top-100 Enterprise in Electronics. We have 20 years experience in products design, production and sales etc, have been suppling perfect power solution to meet all kinds of enterprises' application needs. More than 100,000 units of UPSs ranging from 350VA to 400KVA has been monthly supplied to customers, which make us the one of global largest power supply provider with full power range UPS.We have most advanced R& D team and test equipment in China. A Postdoctoral Scientific Research Workstation, granted by The National Ministry of Personnel, and another two advanced technology R&D centres in Dongguan and Shenzhen China has been built, which have been adsorbing many excellent UPS experts to do research in EAST. Based on the powerful technology team and high quality products with reliable performance, we were granted by State General Administration as "Product Exemption From Quality Surveillance Inspection", and "Shenzhou" series spacecraft programs also specified us as its power supply provider.EAST are ISO 9001:2000 and ISO 14001:2004 ceritified, and EAST products are approved by CE, FCC, UL, and many other kinds of awards and cerfiticates etc. For 20 years we have been providing with OEM, ODM services and offering full support for customers' requirments, we always benefit customers not only with high quality products but also competitive price.